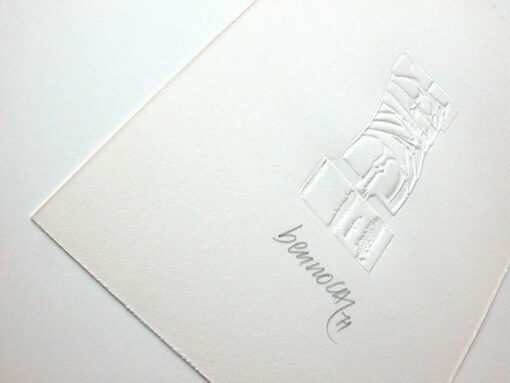 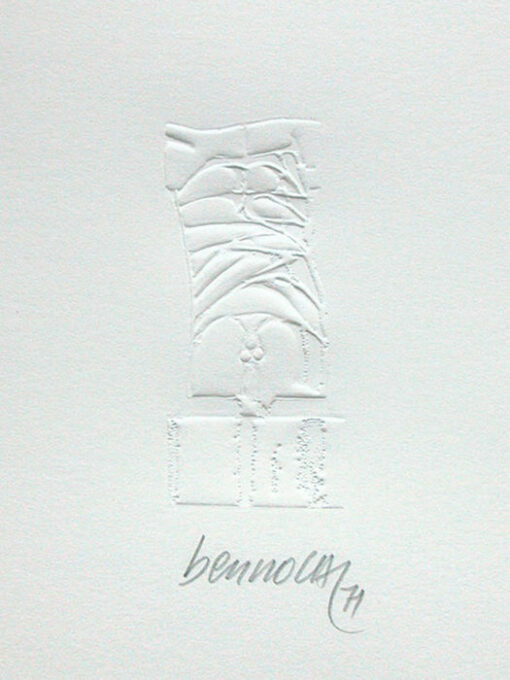 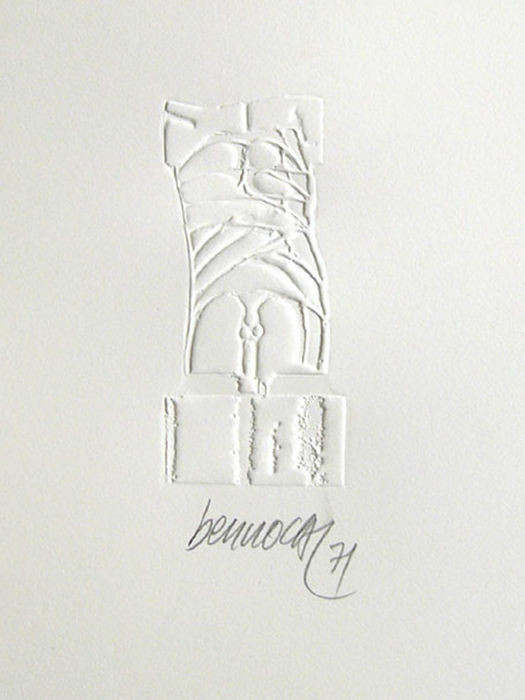 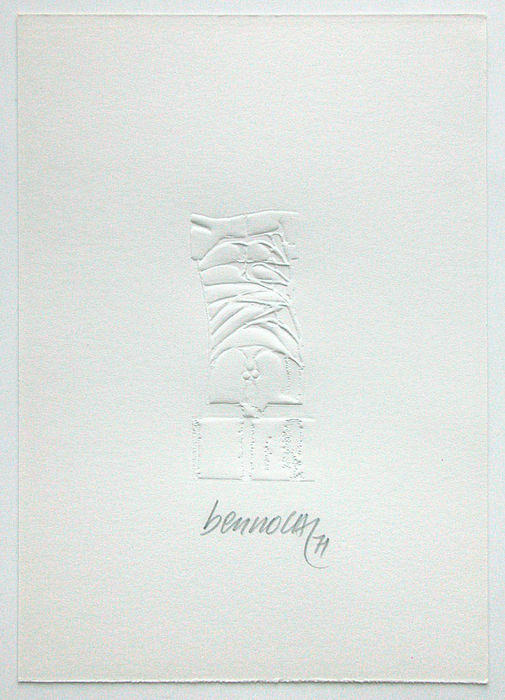 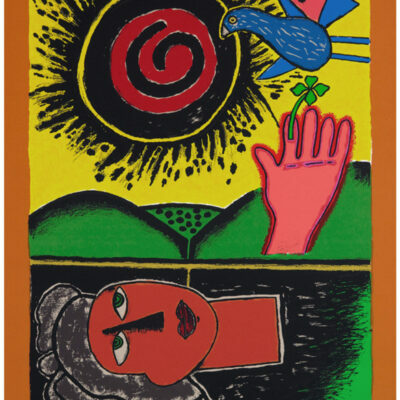 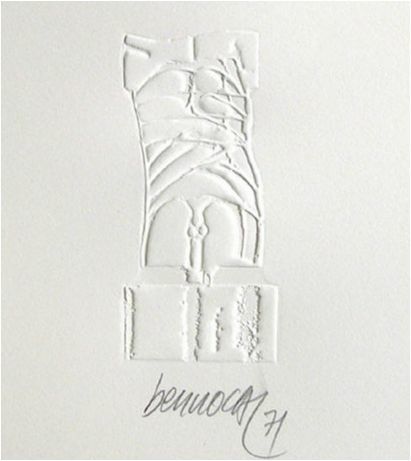 Handsigned – Embossing – 1971 Size : 13.5 x 6.5 cm ( picture ) , 34 x 24 cm (total) Handsigned, dated and numbered in pencil. 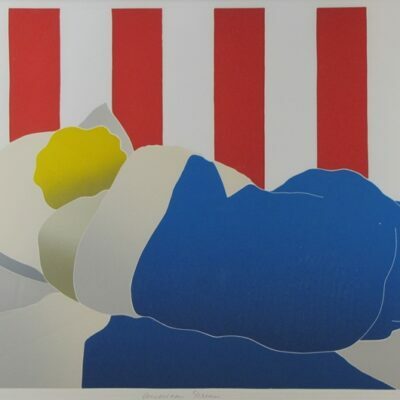 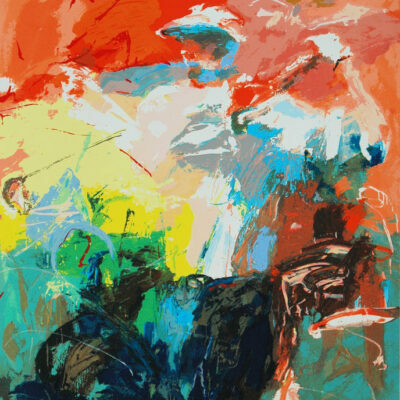 Has never been framed, In very good condition, no discoloration. 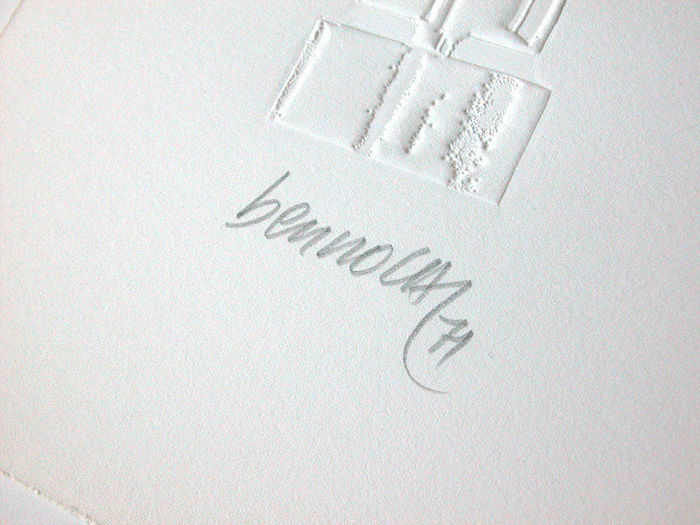 Handsigned, dated and numbered in pencil.